Come January, Flare magazine will no longer be available on newsstands. According to a story in the Globe and Mail, Rogers Media has decided the plummeting sell-through on the magazine no longer justifies the cost. The fashion magazine's single-copy sales have fallen from 12,000 a month in 2012 (where they represented 9.6% of total circulation) to an average 2,600 in the first six months of 2015 (or 2.8 per cent.) By comparison, Flare's digital circulation has grown to average 29% of its total circulation. Publisher Melissa Ahlstrand said newsstand sales -- once a bellwether of readership -- is no longer thought so. “Whether it be through Texture or Snapchat or Periscope or print, we want to have people connect with our content and the work we’re doing with advertisers, on any platform where they want to be,” she said. To mark its 30th anniversary of publication and in honour of its founder, Applied Arts magazine has launched the Georges Haroutiun Scholarship. Three $3,000 scholarships will be awarded in April 2016 in the areas of Advertising, Design and Image. Students must complete an assignment and submit it digitally. "Georges has always been a champion of young talent, stressing the important role youth play in energizing the creative community," said an announcement. "Thus Applied Arts has consistently recognized, supported and celebrated the work of students, particularly through the Applied Arts Student Awards program. "In recognition of Georges Haroutiun’s contributions to the design industry, his legacy and his mentorship of students, — whether as art director of Applied Arts, in his days teaching at OCAD University, or now, in his “retirement” consulting on the magazine’s initiatives — we are thrilled to present these new scholarships in his honour." [This post has been updated]Several Canadian magazines won recognition in the annual International Regional Magazine Association (IRMA) awards, presented at association's annual conference, held this year in San Diego, California. Cottage Life won a gold award, 5 silver and 3 bronze awards plus one award of merit. Saltscapes won a gold, a silver and 2 bronze awards. Avenue Calgary won a silver award. Yukon, North of Ordinary won two bronze awards. Magazine of the year 29,999 circulation or less was Missouri Life; 30,000 or more was Down East: The Magazine of Maine. Founded in 1960, IRMA exists to promote and support regional publishing generally and to encourage the free flow of information among its more than 30 member magazines. Canadian publishers have played a prominent role. TVA Group has announced that, according to a readership metric from Vividata*, TVA Publications are now the leading Canadian magazine provider. In a release, it said that French language titles attracted 3.2 million readers across multiple platforms and English titles more than 8.1 million. "These results confirm that our brands and content are lengthening their lead as Canada's favourites," said Lucie Dumas, vice president and publisher, Magazines Group. "The readership figures offer compelling testimony to the creativity and dedication of all our teams." Cool!, which draws nearly 300,000 teen Québec readers. Canadian Gardening and Style at Home which have more than 1.8 million multiplatform readers per month. *Vividata is the new name for the merger of NADbank and the Print Measurement Bureau and it researches reader data across social media, mobile, news on their tablet, a magazine, or a newspaper. It surveys about 36,000 Canadians age 12+ annually and every quarter does an omnibus consumer survey covering media usage and hundreds of products and services and media usage. A list of measured magazines. Mag world view: Fewer issues at Bloomberg & CJR; No more "monstering"; HOW design events sold off; what's working in digital ads? Michael Swan, President of Swan Erickson Publishing Inc. The appointments to CBM come not long after the company also joined the b2b division of Magazines Canada, where Annex magazines are have been members for some time and where b2b membership has been steadily growing, resulting in sometimes diminishing CBM membership. 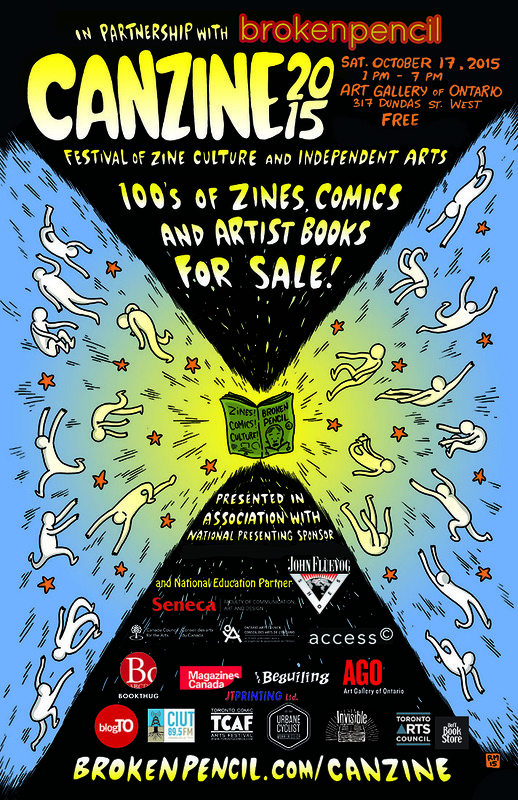 The all-day festival features more than 400 zines, art books and "works of printed weirdness, plus various panels and workshops. Geist magazine has published the first prize winner in its 11th annual Postcard Story Contest, an intriguing, compact item titled "No Time to Write", by Barbara Baydala. [This post has been updated] Max Fawcett will soon be transitioning over the mountains to take over as editor-in-chief of Vancouver magazine. Fawcett is a native of Vancouver who has been editor of Alberta Oil of Calgary and, before that, managing editor and Calgary bureau chief of Alberta Venture. His first day at Vancouver will be November 16. "a recovering political hack who likes brussel sprouts and interesting facial hair, drinks his coffee black and his whiskey straight, and still believes in the virtues of the serial comma, CP style notwithstanding." Fawcett replaces John Burns, who left the position July 24. One of the big challenges for the new editor will be to helm the planned redesign of Vancouver, effective with its March 2016 issue. A new digital quarterly magazine called Figure Skater Fitness has been launched. It's aimed at figures skaters, coaches, parents and the followers of the sport. The publisher and editor-in-chief is Signe Ronka, a former international level competitor and national competitive coach. Single issues are $7.99. A year (4 issues) is $27.99. "We are very excited to share this new medium with our readers," says Dawn Drummond-Hill, creative director. "Our magazine will motivate, educate, and be the leading source of figure skating specific training information." The literary journal will not only publish again this year, but possibly produce three rather than the usual two issues (to acknowledge its hiatus) -- the first of which will be themed about "Gender". The issue launch is Friday 9th at LOFT 112 in the East Village of Calgary. Associated with the Department of English, but operated independently, the magazine is financed by donations and grants, but all publishing decisions are made by its undergraduate student board. The origin of the magazine's name is shrouded in mystery. Magazines Canada has welcomed 13 new business media titles into its membership, including notably 11 titles from Toronto-based Newcom Business Media. This brings to 85 the number of business media titles in the association, about one-quarter of the association's membership. One of the areas of the Trans Pacific Partnership (TPP) negotiations about which Magazines Canada and other agencies were lobbying was culture. You may remember the sometimes contentious issue of protecting Canadian cultural property and policies in the run up to the North American Free Trade Agreement (NAFTA). Ultimately, that legislation left the matter largely untouched, to the relief of publishers and media producers. But, understandably, cultural and literary magazines in particular and magazine publishers generally were warily watching the TPP talks. Of course, how it all sorts out depends on the details when the full agreement is published and debated in Parliament but, according to a statement published on its website by the Department of Foreign Affairs, Trade and Development, nothing in the TPP prevents governments from regulating in the public interest, including measures to protect or promote culture. "Preserving the flexibility of all levels of government to adopt and maintain policies and programs that support the creation, production and development of Canadian content was a core objective for Canada in the TPP, and we have fully achieved this objective. The TPP reflects and protects Canada’s existing policies for supporting Canadian cultural content." One of the players in the "all you can read" digital newsstand world is Magzter which, since January 2015 has made access to downloads of more than 3,000 magazine titles from 212 countries available for a single, monthly fee of $9.99. In addition to the all-you-can-read option, Magzter offers readers a portal to subscribe to individual magazines. It offers publishers a revenue share model and apps for most mobile platforms, both for iPad/IPhone and for Android. However its magazines are all PDF-based, so limited in their interactivity. It does offer a family sharing plan whereby subscribers can share the sub for free with any four designated family members. According to a story in Press Gazette, 2/3 of the company's revenue currently comes from digital and events and one-third from print; it had profit of £85.3m on turnover of £312.7m in 2014. Emap began as a regional newspaper group in 1947 and moved into magazines in 1953 with the launch of Angling Times. Emap sold its TV, radio and consumer magazine business to Bauer in 2008. "As part of this watershed event for the group, the 4C and EMAP company brands are being retired as the company enters the final stages of its migration to a pure digital subscription and large scale events company. "The new business will help accelerate the conversion of former Emap products into pure play digital and event businesses. Glenigan, Groundsure, De Havilland and Planet Retail/RNG are already 100 per cent digital and events businesses."